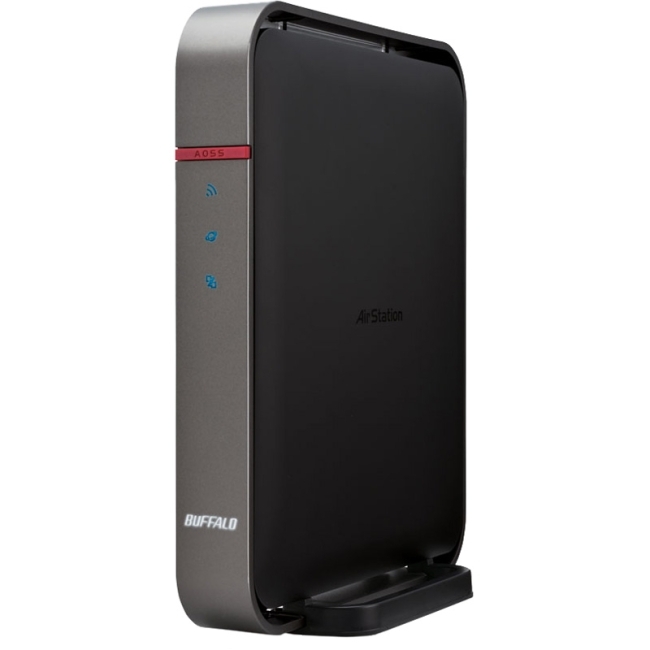 Buffalo America's WZR-1166DHP is the eighth AC1200 class router we have reviewed. With the exception of a different case color and the lack of a USB 2.0 port on the rear panel, the WZR-1200DHP looks identical to Buffalo's WZR-1750DHP router that Scott reviewed. Since the feature set is identical to what you'll find on the WZR-1750DHP, this review will focus primarily on performance and how the 1166DHP stacks up against other AC1200 class routers. Priced at $120, the WZR-1166DHP carries a price premium compared to other AC1200 class routers that have prices hovering around $100 or less. While the addition of the WZR-1166DHP to the Router Ranker has resulted in some shuffling in the rankings, the ASUS RT-AC56U still tops our charts at #1. The WZR-1166DHP uses the same Broadcom SoC and radios found in the ASUS RT-AC56U, so you'd expect it to have similar excellent performance. But you'll see later this isn't the case. The WZR-1166DHP is so similar to its AC1750 class sibling that both share the same user guide. The front panel callout below shows a summary of the front panel LEDs. The WZR-1166DHP uses a combination of multi-color LEDs and blink patterns to provide a lot of information into just a few indicators. Switch #1 puts the device either into AP/Router mode or wireless bridge mode. Switch #2 lets you select between router mode and AP mode if switch one is not in wireless bridge mode. This feature, not found on many routers, makes it very easy to use the WZR-1167DHP as an AP without having to do any configuration in the UI. There is no #6 in the diagram below because there isn't a USB 2.0 port on this model. The callouts were made to be used on both of the Buffalo AC routers. For those of you who like interior photos of the chassis and PCB, I have bad news The case cover was too hard to pry off to get our own internal photos. Unfortunately, due to the government shutdown, the FCC site, our usual source, is down. We did, however, confirm the components at wikidevi. The component summary chart below has been updated to include all of the AC1200 class routers that we have reviewed so far. You'll note that the WZR-1166DHP uses the same Broadcom SoC and radio chipsets as the top-ranked ASUS RT-AC56U router. The Buffalo router, however, has 512 MB of RAM - double that of the ASUS.